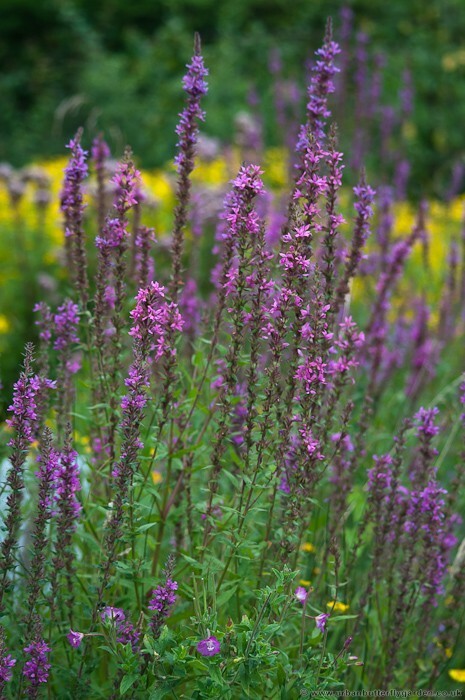 Herbaceous perennial with tall purple or magenta coloured flowers growing up to 60-120cm high, Purple loosestrife (Lythrum salicaria) is common and found throughout most of the British Isles it may be found in the wild growing naturally in damp areas, along riverbanks, fens and damp meadows. 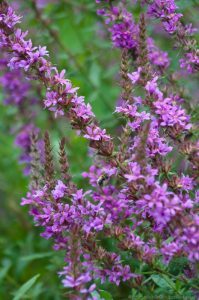 With strong woody roots, Purple loosestrife is a remarkably tough plant, the leaves are opposite pairs borne on strong upright stems which support the spike of the pretty 6 petalled flowers. 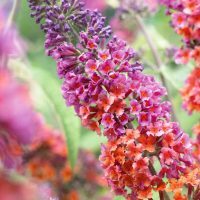 The tall flowers are great for attracting long tongued insects like bees and butterflies making it ideal plant for a wildlife garden. 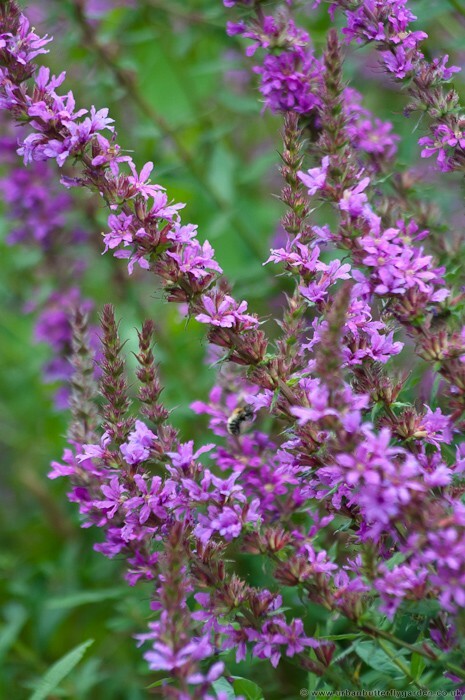 Purple loosestrife can be grown in any type of soil, plant in October or March and April, in dryer soils, dig in plenty of organic compost as the soil needs to be kept moist all year round. 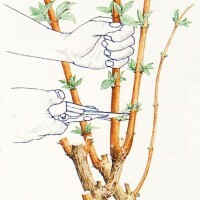 Pruning can be done in Autumn or Spring, cutting down the plant to just a few centimetres high. Pruning in Autumn will prevent the spread of unwanted seed. 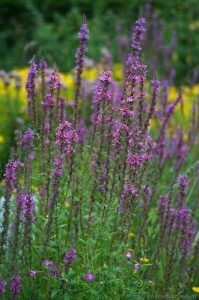 In Spring divide plants if necessary and apply a thick mulch. Apart from the native flowering species there are also a good number of cultivated varieties which include, L. salicaria: ‘Robert’ (pink), ‘Firecandle’ (rose red) and the ‘Beacon’ (Crimson), these varieties are smaller and may be more practical for smaller gardens. Natural Habitat: found in places like – Riverbanks, fens and damp meadows. When does it flower? June – August.